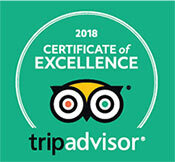 Seville, home of Skydive Spain, has been proclaimed as the top city destination in 2018 by the prestigious tourist guide Lonely Planet! To be honest, this is great news but not surprising. In Seville you can find everything you wish for, it doesn´t matter which type of tourist you are. This city knows how to please you. Let’s start with Gastronomy. Seville is know for being the world capital of “tapas”. You can often find bars and restaurants one step away from another, and many of them offer their traditional dishes on sunny terraces. Enjoying your meal while getting the Southern Spanish sunshine on your skin is something that we couldn´t recommend more. From the “tortilla de patatas” to the “serranito”, you will find many diffirent dishes that you will be able to try due to the tapas sizes. Regarding architecture, there is a mix of different cultures such as Christian, Muslim and Roman or different architectonic styles as Renaissance, Baroque and Gothic. Seville´s streets in the old town still conserve the essence of the Jewish quarter. Its palaces, churches and the Cathedral show the mix of cultures that took place in remote times. For all this particularity the city has been spotted for many producers and even it has been scenery for the well-know HBO serie “Game of Thrones”. So if you like TV and cinema this is another reason to discover amazing city. Go out for a walk by the river while enjoying landmarks as the Torre del Oro, the bullfighting ring or the Triana district. Check out the little charming shops or traditional street markets. Enjoy the night party atmosphere during the spring and summer seasons. Come to discover what adds up to result in our well know lifestyle. 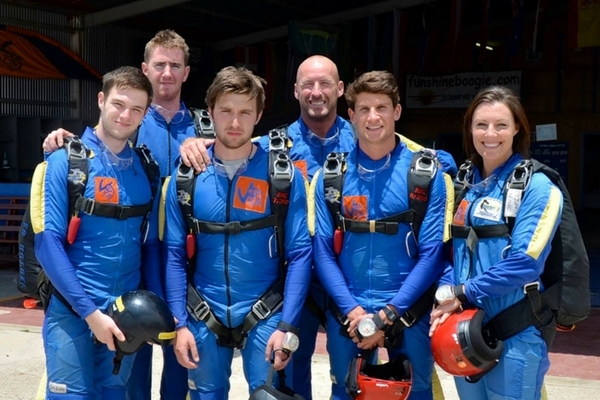 And don´t forget to come to Skydive Spain, one of the most exciting skydiving companies in the World. 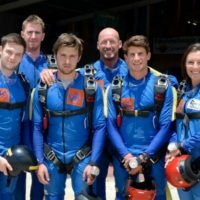 You can jump with us without any experience with our awesome tandem skydives and also become a skydiver in only one week enrolling in our AFF courses. 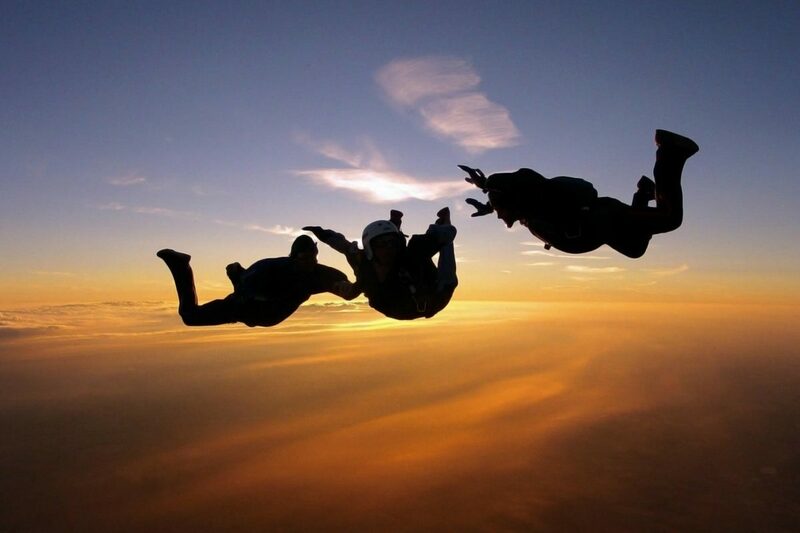 Skydiving is a life time experience that everybody should try. The emotion that you will experience before and after your jump will be recorded in your mind for all your life. There is nothing more exciting thing than freefalling at 120 mph whilst you contemplate the great shape of our marvelous planet. 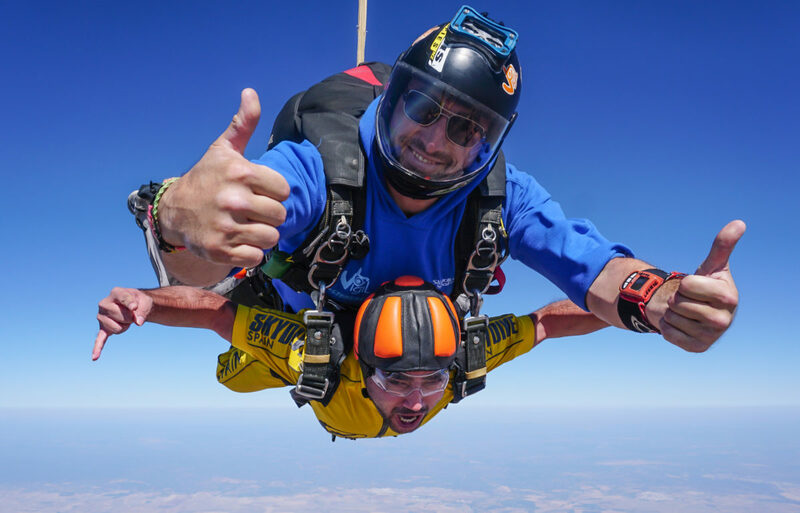 Como to jump with us to Skydive Spain and culminate your unforgettable trip visiting the city. 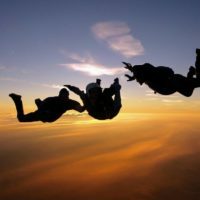 Seville and Skydive Spain will intensify together your emotions. 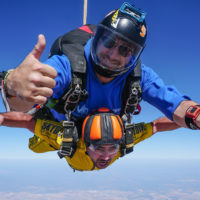 Truly, Skydive Spain is the destination for skydiving in Spain.